Team building activities are popular amongst Human Resources teams and participants of these company events. In an informal setting, teams break their routine and get together in a playful way to learn more about their peers. These one-off teaming activities are designed to increase team awareness and establish personal links between team members. However, they do not resolve conflicts nor do they create high performing teams. To achieve these goals, more substantial team coaching usually is the better approach. Team coaching lasts several months and is focused on sustainable change and healthy team dynamics. Do I need team coaching or team building? To know whether team coaching or team building is the better fit for your needs, think of the desired outcomes. What should be different in the team once the activity is over? 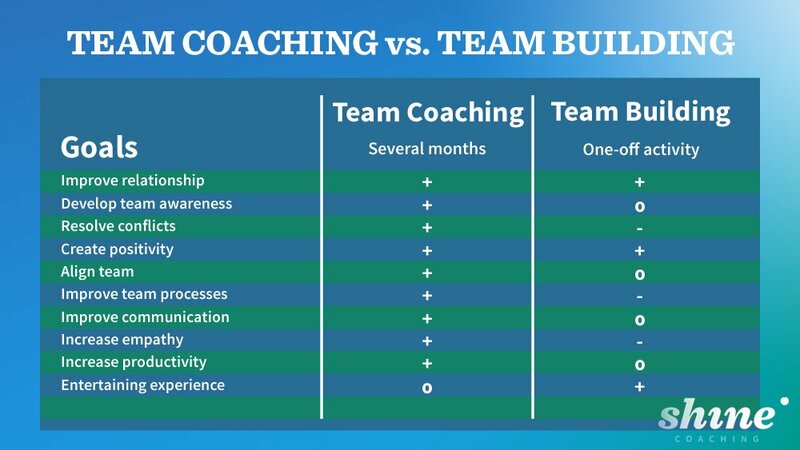 The following comparison between teambuilding and team coaching gives you insights about the typical goals and benefits. Team building activities are occasional interventions that complement team retreats and company-wide events such as all hands meetings. These playful activities are designed to give people an opportunity to get to know each other better. They aim at improving team awareness and charging the team with positive energy. It’s all about the team experience. Cooking in a team, treasure hunts, creating a movie or personal growth challenges like firewalking are some classical team building activities. Unlike team building, team coaching uses a more complete approach to improve team dynamics, team performance, and team relationships. A team development plan typically lasts several months or eventually years with regular sessions throughout this period. Team coaching programs are designed to achieve specific goals based on an analysis of the team’s strengths and challenges. The final goal is to enhance teamwork, build trust among team members, align the team, resolve conflicts, increase team awareness that goes beyond each individual, and develop empathy and shared commitment. Ultimately team coaching is designed to create a psychologically safe space in which all team members can and want to give their best. A psychologically safe space where you can be yourself and engage in unfiltered conversations is the key difference between high and low performance teams, according to Google’s “Aristotle” project that has researched they keys to create perfect teams. Team coaching seeks to create an environment that has everything a team needs for great teamwork: trust, honest and healthy discussions to navigate through existing conflict, mutual commitment to decisions and plans, mutual accountability, and a focus on collective results. Team coaching is an intense, emotional and enlightening process. It is not always a comfortable journey, but to convert a team into a high performance team one needs to go beyond playful team building activities. If you are looking for support to turn your team into a high performance team, Shine may have what you need. Contact us by email or call us and we will help you assess the best way to consolidate and upgrade your team. 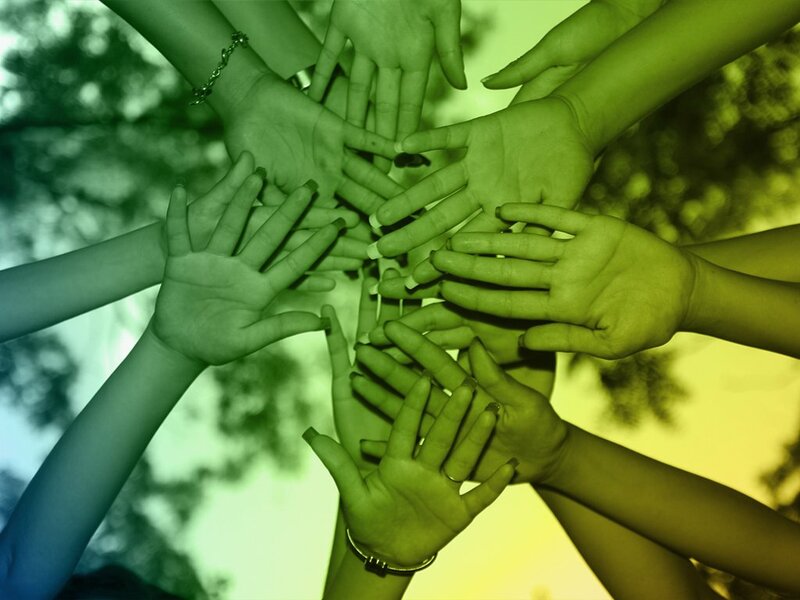 Share Team Building or Team Coaching: What does my team need?